The recent kidnapping of more than another 100 girls from the Government Girls Science Technical College in Dapchi, Kobe state shows that the sect is far from defeated: it still has the manpower, logistics, intelligence and organisational command to mount large scale raids. The Sambisa forest and the North East of Nigeria is a vast area of land covering thousands and thousands of hectares and if you dislodge the terrorists from one area they’ll simply pack their bags and setup camp elsewhere. To permanently displace them the ideal solution would be to carpet-bomb key hiding places, something Nigeria and its allies would unable to do for lack of resources and necessary equipment. And with the Boko Haram still taking hostages on a daily basis it will also mean that collateral damage will be high if they are bombed. The main objective is to find Abubakar Shekau, head of the Boko Haram sect – presumably alive. The Nigerian Army has put a N3 million Naira bounty on his head – not enough! Who will get out of bed to go and look for the head of Boko Haram for three million naira? When America wanted to find Osama bin Laden they put a $20 million bounty on his head and was quickly found. To find someone as elusive as Shekau you need to raise the bounty to an amount that anybody who knows where he is will find impossible to turn down. If you put a $1 million dollars ( yep $1,000,000!) bounty on his head you’ll have him in custody within a month! For that kind of money professional bounty hunters will come from abroad to look for him! There are a lot of people who could do with a million bucks in their bank account ( - myself included!) and even Shekau’s most trusted lieutenants will betray him for that kind of money ( - especially when you throw in amnesty for their own crimes). A million dollars sounds like a lot of money but when you think of the lives that can be saved, the time and resources wasted trying to find this monster it’ll be money well spent. Even though the Nigerian Army wouldn’t mind Shekau dead it’s best if they can capture him alive. A walking, talking Shekau will be able to reveal more secrets about the sect than a dead one. Once you have Shekau in custody ( - or dead!) the sect’s octopus head would have been killed and it’ll be a lot easier to deal with the tentacles – his lieutenants. Without a centre command to give orders or logistics to support them the organisation will implode and many will desert the sect. The Nigerian Army also needs to up its game: the recent kidnapping of the college girls was an accident waiting to happen considering Boko Harams hatred of seeing women in schools. Any major educational institution in the North East with a high population of girls is a potential target and there needs to be a continual presence of armed soldiers or police on such premises. If an attack is imminent they’ll be able to act as early warning beacons, able to inform their superiors and rapid response units can be despatched immediately ( - hopefully all their helicopters are working and are equipped with night vision devices!). 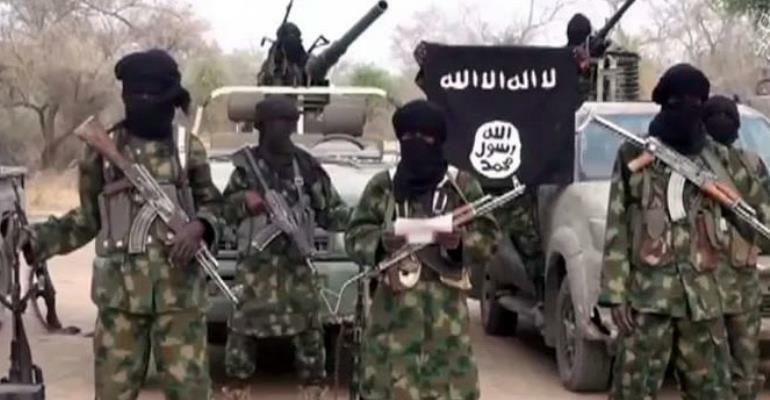 Intelligence gathering needs to be up to scratch: who is funding Boko Haram? Where do they get their supplies from? All their uniforms, boots, vehicles and weapons didn’t come out of Asaba market – they came from somewhere else. Find their financiers and suppliers and block them! By cutting off their supplies you’ll be gradually be strangling them leaving them unable to fight effectively. Since all terrorist organisations love attention the government should ban media organisations from broadcasting their propaganda videos and take the same measures Western governments are taking to control their activity on online social media by getting their Facebook, Twitter and YouTube accounts blocked. This author has authored 69 publications on Modern Ghana. No More Go-Slow! Flying Cars Are Here!